Magento is a fully-integrated onLineine shop featuring flexible product display options, mobile templates, multiple transaction options, multi-stores and multi-sites functionality, advanced user accounts and loyalty programs, product categorization and shopper filtering, configurable discount and promotion rules, plus many more functionalities. 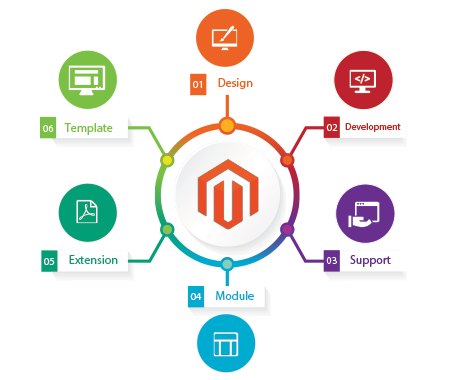 Vibidsoft is a leading Magento E-commerce solution provider. We have helped a lot of clients to get their custom shopping cart built for their products. We build online shops that will be hosted securely on our fast and reliable server network, using a domain name of your choice, providing the ability to build and maintain your site, and manage your orders, from any location via your own secure onLine administration console.